Good morning from Dublin, Ireland! It's our third day and we're enjoying it so far. Yesterday, I met Odette, she's one of my Iggy sisters. We really enjoyed her company and we're so grateful she took the time to show us Trinity College and the General Post Office. I finally got to see the Book of Kells; my theology professor would be proud of me. Today, we're driving to Galway with a stop at Clonmacnoise. I can't wait! When I saw the thumbnail, I thought it was a cathedral - what an amazing library! Kayni, what an amazing place! So, so many books! So breath taking! 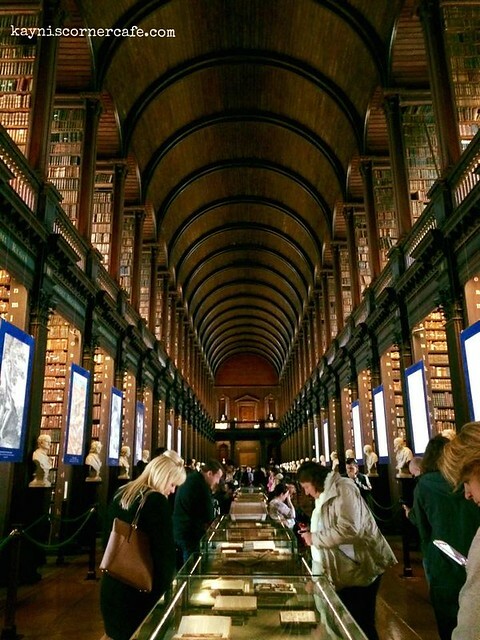 We didn't see the Book of Kells when we were there, now I wish I had. What an awesome trip! Amazing library and photo. Thanks for sharing, happy WW! Just coming back from my own vacay so I'm a bit late. Enjoy!!!! impressive structure! i could stay in there for hours.